Do You Need To Have Your Wisdom Teeth Out? 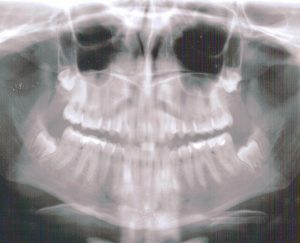 Your wisdom teeth are considered your third molars. They are called your “wisdom teeth” because they tend to grow in as you gain wisdom. Typically, this means they grow in during your late teen years or your early twenties. Unfortunately, these teeth do not have much “wisdom” of their own as they rarely make it into your mouth how they are supposed to. Almost everyone has heard about wisdom teeth. Mainly due to the stories they hear when people have them extracted. In the past, dentist used to recommend leaving your wisdom teeth in. The reason for this is that it was thought that, even if they grew in sideways, they had some use in our mouth. However, this has been found to be mostly false. Now, dentists have very few reasons, if any at all, to keep your wisdom teeth. One thing that dentists do know is that wisdom teeth are incredible hard to take care of for a patient. Due to their positioning in the very back of the mouth, wisdom teeth are hard to clean and susceptible to cavities. Additionally, if your wisdom teeth become impacted, they can cause cysts that can weaken your jaw bone and damage your other molars. If your wisdom teeth become partially impacted, they can cause damage to the surrounding gums, bone, and teeth around the wisdom tooth. If left untreated, your wisdom teeth can cause severe infections that are both dangerous and painful. Most dentists agree that there are no good reasons to keep your wisdom teeth. The two reasons why people do not have their wisdom teeth out are due to fear or an underlying medical condition that prevents the procedure from happening. Dr. Van Treese recommends having your wisdom teeth out at a young age to make the process easier. Due to the invasiveness of the process, the younger you are, the easier the healing process will be. Additionally, if you let the roots continue to form, it may make the process more complicated. If you have any questions regarding wisdom teeth or the procedure, feel free to contact us today. If you would like to schedule an appointment at our office in Sidney, OH, please call us at 937-492-6984.